Our customer Emma came to us for the full package of survey, design, manufacture and installation of our system 10 powdercoated balustrade. The balustrade system was to wrap around a newly built raised patio area and down each side of the steps into the garden. To maximise space on the balcony area, the balustrade system was side-fixed (face mounted) to avoid encroaching on the seating area. The design of our galvanized and powdercoated system 10 balustrade can be adapted to suit virtually any scenario. In order to remain within building regulations for heights on both the stairs and landing sections, the top handrails were swan-necked with bespoke fabrication to provide one continuous bannister rail. Clear toughened glass infills were installed between the black powdercoated posts and handrails to complete the design. Although the weather was miserable for the installation on a rainy day in December, the balustrade will provide a lovely area for Emma and her husband to enjoy once the sun comes back out. 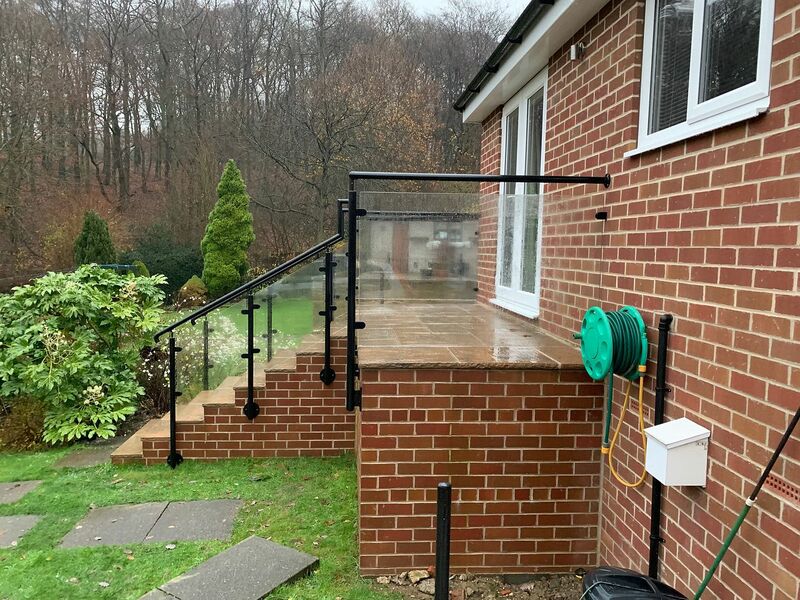 All our powdercoated glass balustrade systems can be painted in your desired colour- black was chosen here to match with the external guttering and pipework. 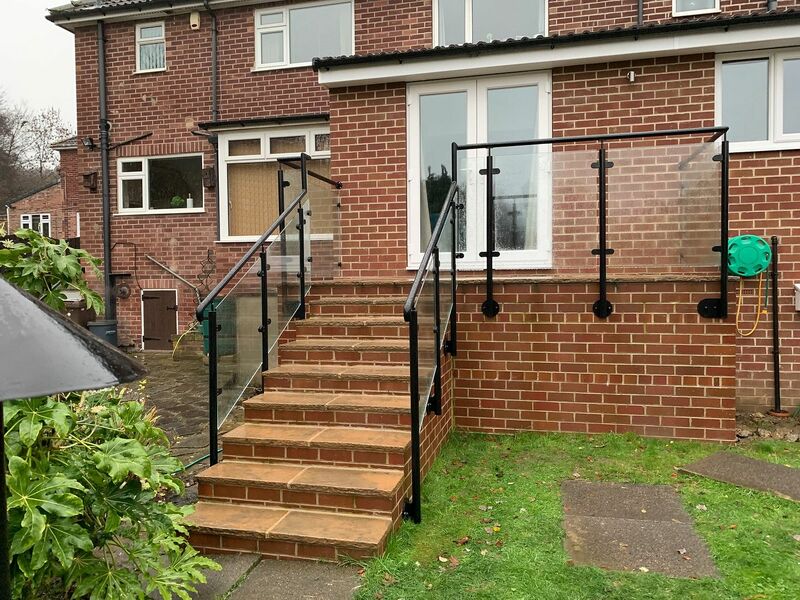 Installation of the balustrade was done over the course of one day and the balustrade system itself was completed in a 3-4 week period to suit customer requirements.